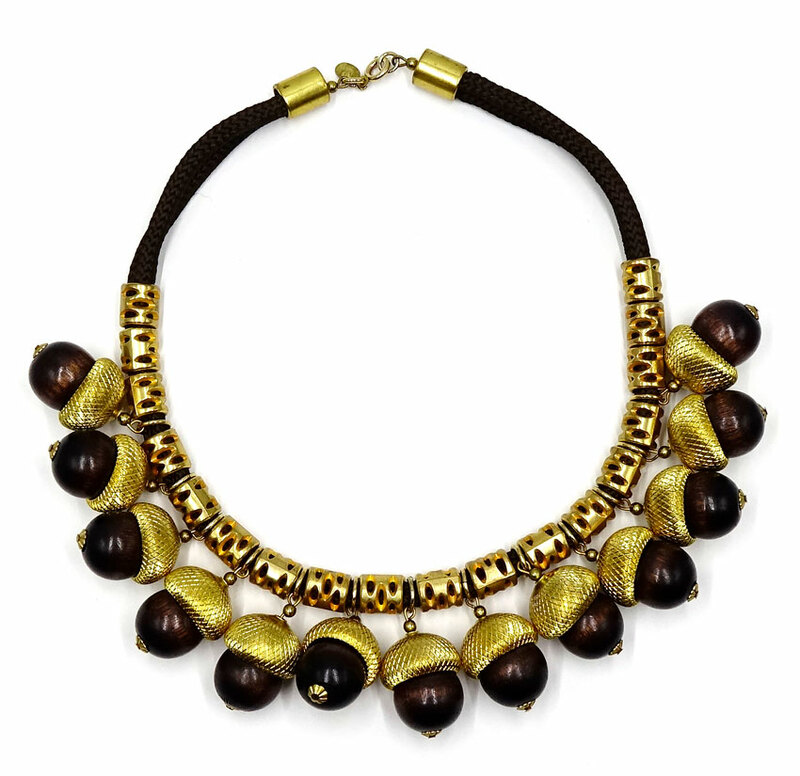 A rare gold and brown acorn necklace by Cadoro. 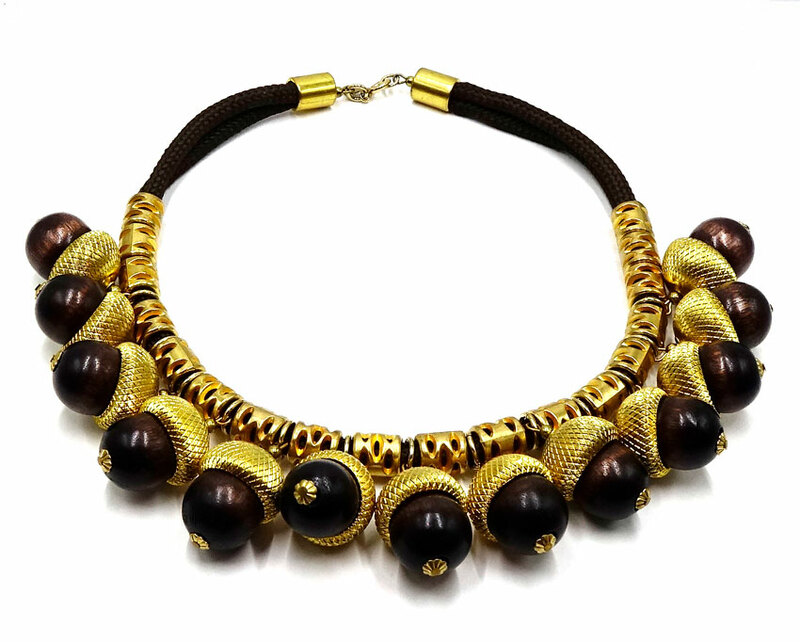 This necklace is adorned with thirteen wooden acorns with golden tops. 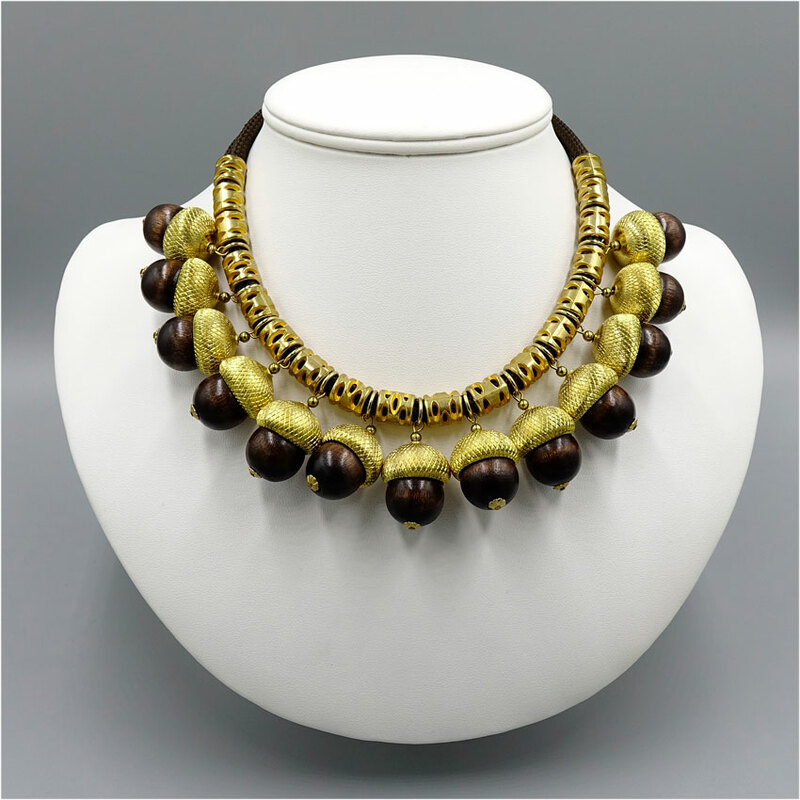 The base is a double braided brown cord with interesting gold tubular beads strung between the acorns. The clasp is a spring ring and it is labelled with the Cadoro hang tag. 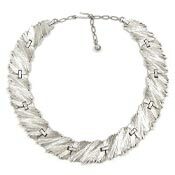 Cadoro jewelry was made from 1954-1987 and was sold at better department stores like Saks and Neiman Marcus. Condition: Excellent/very good. 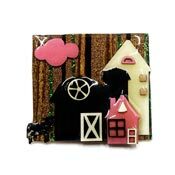 There is some wear to the gold plating at the clasp. Approx. measurements: Approx. 16 inches long. 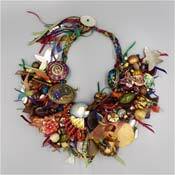 You could add an extender chain if you like. The acorns are about an inch high.